Today’s most widely practiced style of yoga was developed by B.K.S. Iyengar, who is credited with having introduced yoga to the West through his pioneering teaching methods. Born December 14, 1918, in southern India, Mr. Iyengar studied and practiced yoga continuously for over 70 years until his death on August 20th, 2014, at the age of 95. By bridging the traditional distinctions between the physical elements of Hatha Yoga with the intellectual, devotional, and meditative elements of the practice, Mr. Iyengar was able to introduce the spiritual nature of yoga to students around the world. His seminal 1966 manual, Light on Yoga, as well as other works such as Light on Pranayama and Light on the Yoga Sutras of Pantanjali have served as the source books for generations of students. 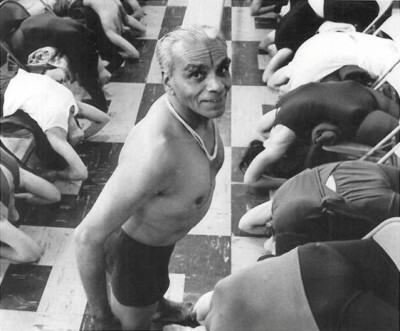 Mr. Iyengar revolutionized yoga practice with the introduction of props, which can now be found in studios the world over; blankets, belts, chairs, and blocks allow students of all skill levels to work safely. He championed the therapeutic applications of yoga, which gained recognition as a treatment for chronic pain and various medical conditions, such as neck and shoulder, lower back, and knee problems. Iyengar also integrated pranayama (breath control exercise) into the execution of the asanas, which enables the practitioner to explore the most advanced stages of yoga. Mr. Iyengar transformed his ancestral village of Bellur with a visionary series of projects, including a hospital, a water treatment plant, schools, a yoga hall for children, and India’s first temple dedicated to Patanjali (the author of The Yoga Sutras). 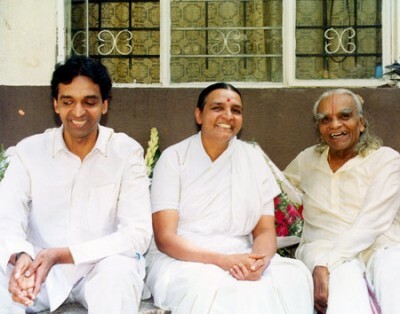 Mr. Iyengar’s daughter and son, Geeta and Prashant Iyengar, and his granddaughter, Abhijata Sridhar-Iyengar, carry on his mission by teaching at the Ramamani Iyengar Memorial Yoga Institute (RIMYI) in Pune, India.